Posted on 30/06/2013, 23:03, by admin, under Photogallery. Posted on 30/06/2013, 22:43, by admin, under Race News. 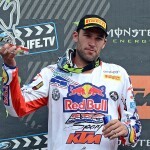 Cairoli primo, De Dycker secondo in Svezia. Posted on 17/06/2013, 00:38, by admin, under Race News. GP d’Italia. 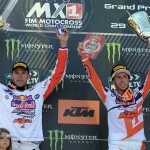 Cairoli e De Dycker sul podio. Posted on 16/06/2013, 22:30, by admin, under Photogallery. Posted on 09/06/2013, 23:37, by admin, under Race News. 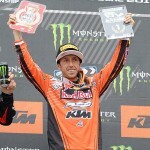 Cairoli vince nel GP di Francia. De Dycker due volte quinto. Posted on 09/06/2013, 22:32, by admin, under Photogallery. Posted on 06/06/2013, 13:00, by admin, under Magazine. Posted on 02/06/2013, 22:47, by admin, under Race News.